What should you do when you experience unpleasant smells in your home? Examples could include your kitchen trash area, the boy’s gym bag that gives his space the smell of a locker room, or the dog odors that seem to cling to all fabrics. Most American families would reach for an air freshener of some type. Did you know that these products are harmful? An electronic deodorizer is safe and effective. As reported by the Natural Resources Defense Council (NRDC), there are a good number of air fresheners that contain phthalates without necessarily listing them among the product’s ingredients. These chemicals have previously been linked to birth defects and a reduced production of testosterone. Asthma and allergic reactions have also occurred after exposure. When using electronic deodorization products instead, you forgo the spraying of chemicals in your home. It goes further. The use of ozone technology does more than briefly mask a smell that eventually comes back. Occurs naturally. Ozone is a natural byproduct of sunlight reacting with oxygen molecules or lightning passing through the atmosphere. Purifies its environment. Electronic deodorization with ozone has found industry use for the elimination of bacteria, fungi and viruses. Plenty of hotel operators, childcare facility owners and homeowners also use this technology to eliminate odors at the source. Ozone does so via the oxidation process that eradicates odor-causing molecules. There when you need it. Storing ozone is not possible at this time. Having a machine that creates it, therefore, makes sense. Between the Queenaire, Rainbowair and Newaire products currently on the market, you are sure to find one that suits your needs. When you are ready to make this technology work for you, contact us for more information on the products that may meet your needs the best. As the weather heats up, animal control companies get more calls about skunks living under the house or in a shed. The animals have wintered at your property and now spring sets into motion the mating cycle. Skunk odor is usually the way most homeowners learn about the unwelcome guests in the first place. Although an animal control specialist can remove the skunks from your property, eliminating the skunk smell is another matter. Unlike other scents, the spray of a skunk is difficult to remove because it contains sulfur. Combined with hydrogen, the chemical makeup of the scent further involves the presence of a CH2 complex. This combination puts it in the same league as the thiols used to add odor to natural gas or propane. If you have ever smelled these products, you know that masking the scents with sprays or other methods is impossible. Rather than trying the old wives’ tales involving tomato juice and stale beer, give ozone a try. Because the generator technology splits the O2 molecule that allows for the recombination into O3 ozone, the highly volatile molecule now reacts with the sulfur-containing skunk smell on a molecular level. Breaking up the structure of the smell itself, ozone does not mask the scent or super-impose an even smellier odor, but it eliminates the molecules that cause it. Depending on the size of your crawlspace or shed, you may be able to use the Rainbowair 500 Series II, which treats rooms measuring between 500 square feet and 1,500 square feet. 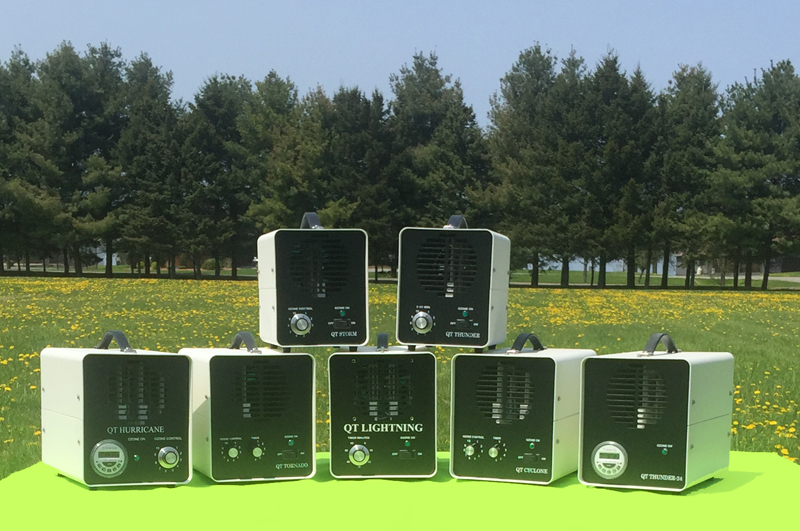 This product has been created for the hotel industry, is portable and provides you with an ozone output of up to 500mg per hour. Contact us for more information on skunk odor removal with ozone or to find out about the other ozone generators we have in stock. A veterinarian’s office can collect quite a few offensive pet odors through the day. It can be very important for your business that your clients not be met with these smells when they walk through your doors. Though a person would expect to smell the occasional dog or cat when they visit their local vet, they still expect it to smell clean and cared for when they walk into the reception area. Having a fresh, well-aired smell to your office can give clients more confidence in your practice by letting them know your staff is on the ball and keeping all the messes clean and away from the animals that are housed there. Behind the scenes, you know there are many ways to accumulate nasty odors in your clinic. Parvo-stricken dogs (and other sick animals), the nervous fur-babies who are prone to accidents, a skunk-sprayed dog, and various surgeries can all make your office smell as though it hasn’t been cleaned in a month. You do your best to eliminate these odors with room sprays, candles, and other chemicals, but what if there was a way to help you get rid of them without having to worry about the chemicals or possible fire hazards? 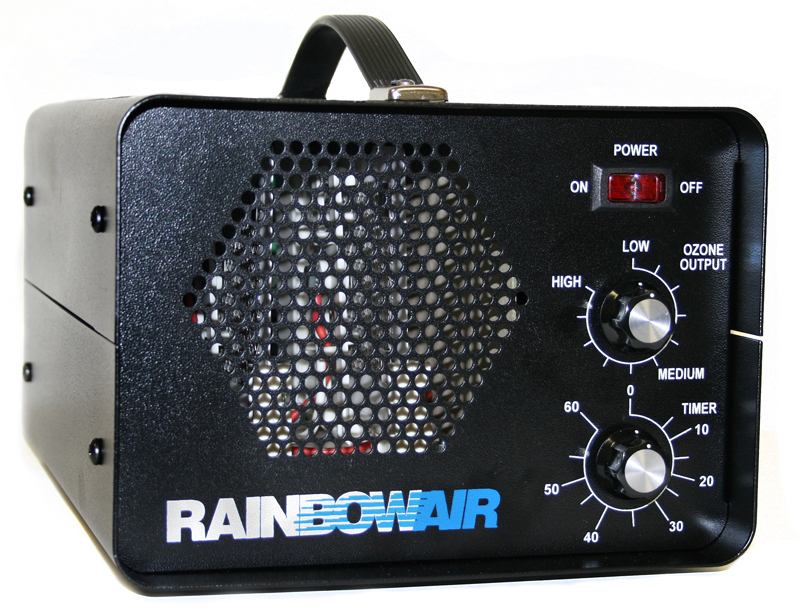 An ozone generator, like the Rainbowair Activator, can be just the answer you’re looking for. The ozone molecule, by nature, will do one of two things as it starts to break down: it will either combine with an oxygen molecule, or it will combine with a gaseous element. When it combines with oxygen, it simple creates O2. When it combines with a gaseous element, it causes that gas to lose any odor it may have had. If you have questions about how you can benefit from the science of ozone, please contact us. We look forward to hearing from you! The three oxygen atoms that make up ozone occur naturally. In fact, approximately 20 percent of the planet’s breathable air is made up of ozone. Yet there is more to this highly unstable molecule than meets the eye. Did you know that ozone will kill bacteria and do away with offensive odors in the process? Ozone reacts with the cell walls of bacteria. Ohio State University experts recognize ozone as “a potent antimicrobial agent” that not only kills bacteria but also eradicates fungi, viruses and even parasites. Researchers discovered that the oxidative burst, which occurs when the ozone molecule reacts with bacterial cell walls, paves the way to further destruction of the undesired organism’s cellular components. This refers to bacterial genetic material, a wide variety of enzymes contained within the cell wall and the lipids that make up parts of the cell wall itself. Microorganisms cannot withstand this onslaught and die. A destruction of bacteria results in odor removal. Offensive odors are usually the result of bacterial activity. For example, in the case of a smelly shoe closet, the bacteria that ingest sweat subsequently excrete acids that are exceedingly pungent. Thus, by destroying the odor-causing bacteria in the first place, any offensive odor you may notice in a home or business also gets removed. Ozone may be created artificially. It is possible to artificially create ozone in the business or home environment. Newaire is a recognized leader in the plug-in technology field.Rainbowair makes units that serve the hotel industry as well as the manufacturing sector. Queenaire offers a wide variety of compact units, some of which are designed to continuously treat areas of up to 10,000 cubic feet. 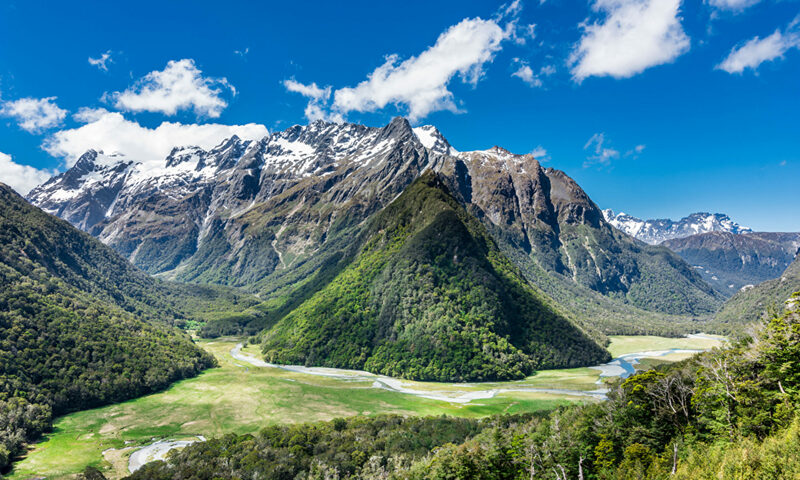 No matter what type of setting you envision, there is an ozone generator that is a perfect fit. Unlike with antibiotics and chemical-based bacterial cleaners, it is not possible for the targeted microbes to develop a form of immunity to the oxidative burst. This knowledge is now being harness by physicians who have long been concerned over the increasing levels of hospital-acquired infections. Gizmag reports on Canada’s Queen’s University that is now experimenting with the use of ozone to kill difficult-to-eradiate and highly infectious bacteria. At Ozone Experts, we understand that you do not want to use harsh and potentially dangerous chemicals to kill bacteria. Contact us today to discuss the types of ozone-generating products that would be perfect for your home or business. Losing offensive odors in the process is a welcome fringe benefit. Have you noticed a consistent dip in the air quality within your home? Although it might not always seem so, we actually have a huge effect on the air quality within our living spaces. If you notice strange odors, a stale or stagnant feel to the air, or a stuffiness within your home, you may want to take steps to improve the air quality. There are a number of simple steps to ensure that you enjoy great air quality within your home. Many of the air quality problems that manifest in homes are from dirty floors. Dust can gather on the floor quickly, so make sure that you clean, sweep and vacuum your home regularly. Remember to seek out hard-to-reach areas to ensure that you aren’t leaving large amounts of dust under furniture or in corners. Humidity makes it easy for molds and bacteria to thrive within your home, which reduces air quality and can lead to other serious problems. Make sure that your home has optimal levels of humidity throughout the day. Indoor plants help to freshen the air throughout the home. By placing an indoor plant in each room you will be able to help keep the air quality at an acceptable level. Dragging dirt into your home will only make your air quality problems worse. Make sure that you are taking your shoes off at the door and are never dragging in dirt and debris from outside. As plant matter and dirt breaks down, it releases chemical compounds into the air that reduces the air quality. Air purifiers are a great way to improve the air quality within your home. For a small investment, you can help to keep the air within your home clean and healthy. If you would like to know more about how to improve air quality within your home, feel free to contact us and chat about the tools you can use that lead to a clean, healthy, breathable air.